I am they honored they chose me. So the projects I chose to do are Penguin themed! I did three different projects! Here is a photo of all the projects. Here is a breakdown of each project and the Jaded Blossom products I used. This is a Standard 4.25 x 5.5 inch card. I kept this card simple and clean. 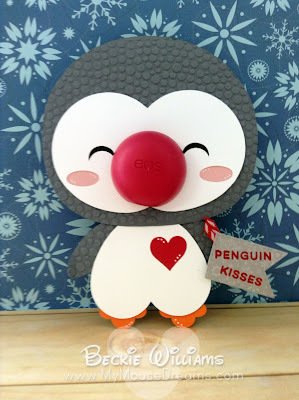 I saw this EOS gift holder ... I had to do him!! I had such a great time creating these projects for you. Thank you Candace and Michelle! This was a wonderful honor!! These are so super cute! Love the card and fun EOS holder! The treat boxes are just adorable! 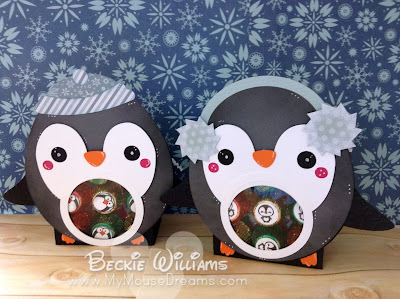 Becki these are all so adorable, I have to make some of these they are just too cute, great job!! 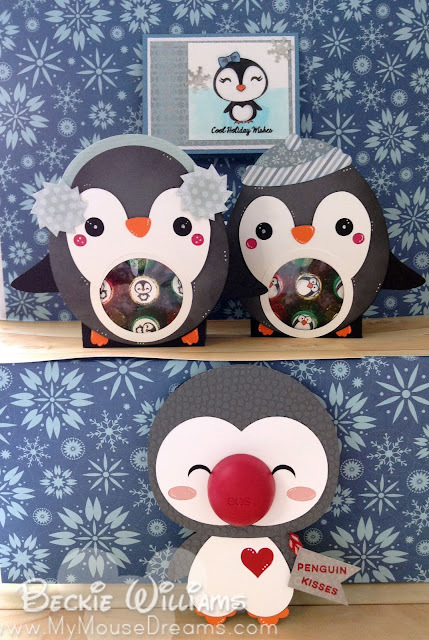 What an adorable penguin collection!!!! Oh my are these adorable or what!!!! Awesome job! Such cute projects!! They are all adorable! Congrats Beckie! I LOVE your projects! Omg totally adorable great job! Such cute projects !! I just love your penguins!! Becki these are darling! I've always loved penguins and yours are fabulous! OMG those penguins are adorable. Love that big ol' EOS nose. THese are tooo cute Beckie!